Obituary for Rachael V. (Smith) BOWERS | Andrew K. Coffman Funeral Home, Inc.
Mrs. Rachael Virginia Smith Bowers, 99, of Hagerstown, died early Thursday evening, November 8, 2018, at Homewood at Williamsport. She was the wife of John C. Bowers, Jr., who preceded her in death in death on January 3, 1960. Born April 20, 1919, in Cavetown, she was a daughter of the late Max Merrick and Annie Catherine Barnes Smith. She attended Hagerstown High School. Mrs. Bowers retired from the cafeteria at Mack Truck, Hagerstown. 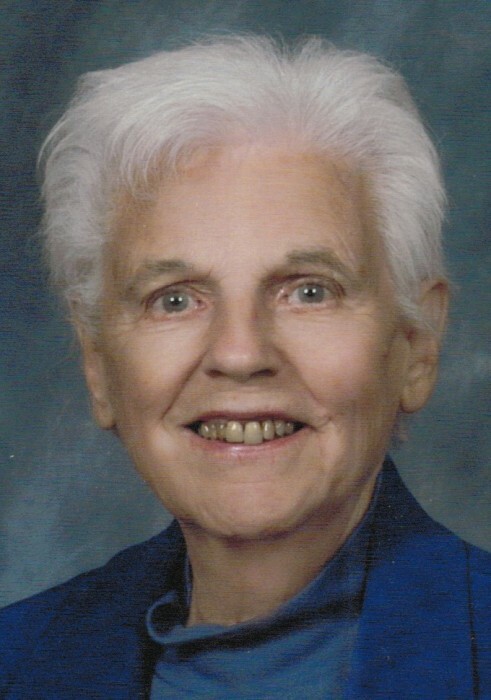 She was a lifelong member of Hagerstown Church of the Brethren, where she participated with the Mr. & Mrs. Sunday School Class, the Kitchen Committee, and the We Care Group. Additionally, Mrs. Bowers was formerly a member of Turf Bowling League at Pangborn Park; a sport she greatly enjoyed. She enjoyed cooking and entertaining friends, and caring for her disabled husband at home for seventeen years until his death. She was very proud of her family, and their accomplishments; and proud that she was able to reside in her home until 2015 when she moved to Robinwood Campus Diakon Assisted Living. Surviving are her children, Kirby M. Bowers and wife Leslie of Sunset Beach, North Carolina, Carleen V. McBee and companion Joe Kewer of Oak Hill, Virginia, and Gloria D. Clem and husband Richard of Hagerstown; her grandchildren, Koren Voelkel and husband Eric of Boyce, Virginia, Kerry McBee and husband Chris Blackburn of Stafford, Virginia, Kyle McBee of Broadlands, Virginia, Matthew Bowers of Westminister, and Andrew Bowers of Raleigh, North Carolina; and great grandchildren, Savannah, Lily and Grayson Voelkel of Boyce, and Scarlett Blackburn of Stafford. Mrs. Bowers is the last of her immediate family. Preceding her in death besides her husband and parents, are her siblings, Armantha Stover and husband Clark, Anna Schlotterbeck and husband Albert and Reno Smith. The Andrew K. Coffman Funeral Home, Hagerstown, is handling the arrangements. There will not be viewing at the funeral home. A graveside service will be held at Rose Hill Cemetery, 600 South Potomac Street, Hagerstown, 11:30 AM, Saturday, November 17, with her pastors, Revs. Timothy L. and Audrey N. Hollinberg-Duffey officiating. Those attending should congregate just inside the main entrance to follow the procession to the gravesite. A luncheon will follow services in the fellowship hall of her church, Hagerstown Church of the Brethren. In lieu of flowers, memorial contributions may be made in Mrs. Bowers name to her church, Hagerstown Church of the Brethren, in care of the Music Program, 15 South Mulberry Street, Hagerstown, Maryland 21740.